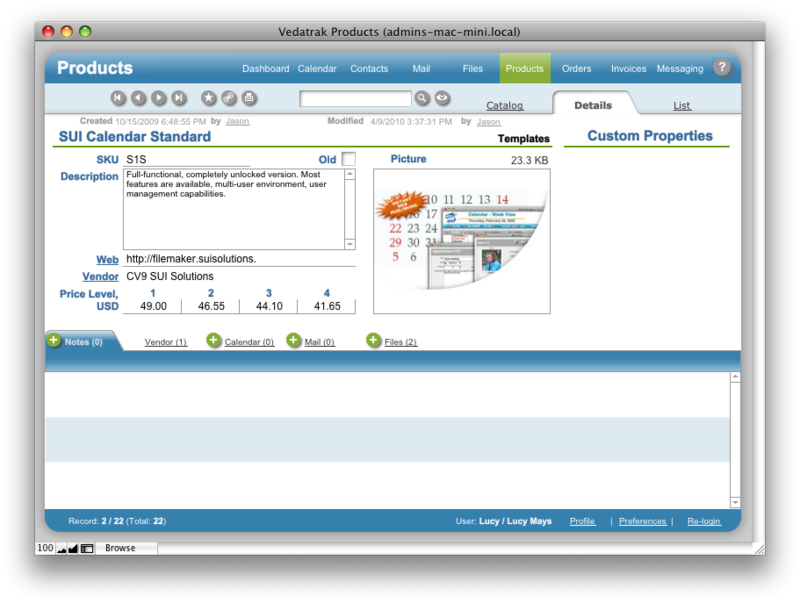 Products Detail View allows users to review and edit product information. Enter the basic product details like Name, SKU and Description. Include the product's Picture and Web address if desired. To specify the product's Vendor, click New in t the Vendor tab int he Linked Items Area. Then select the vendor from a list of contacts that are Vendors in the Contacts database. You can enter up to four Price Levels for each product.